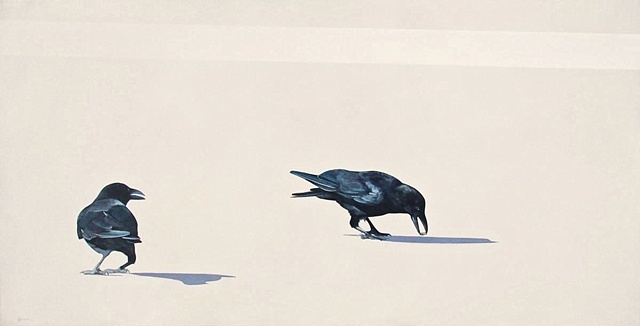 "Brilliant sun plays on the feathers, overexposing the contrast between the birds and the pavement. The concrete is painted over with lines, providing divisions for spaces, separating one area from another. Between the two crows, tension rises. There is a difference of opinion and another, less obvious division occurs."